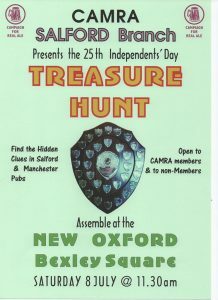 As part of the Bolton CAMRA anniversary celebrations, we are having a beer walk on Saturday, 17th June 2017. 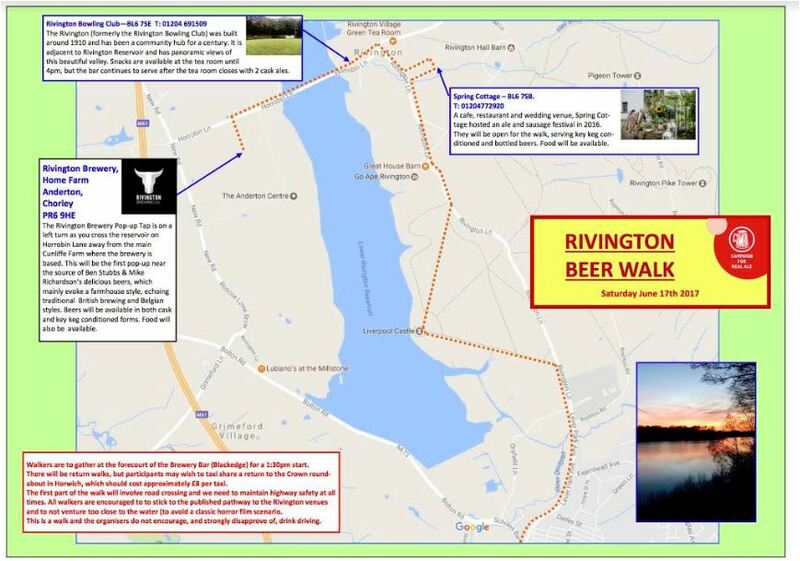 Set off from The Brewery Bar, Horwich, at 1.30pm for a mile and a half saunter alongside Rivington Reservoir to 3 bars open to the public that day. Rivington Brewery at Cunliffe Farm: 2 cask ales, 2 key-keg plus food. Followed by a return walk (or taxi ride) to Horwich. All welcome, booking not necessary. Please visit to find out all about pubs & breweries in South East Lancashire.